As a result of the legal battle waged against the workers of the occupied self-managed VIOME factory in Thessaloniki, Greece, the state-appointed trustee is now organising a series of auctions with the aim of liquidating the plot of land on which the VIOME factory is located. A possible sale of the land would create the legal ground for evicting the workers from the factory. Although the workers and the solidarity assembly are decided to stand their ground and defend the factory in all eventualities, the auction process represents a threat and it requires mobilisation in order to be prevented. A first step is to block, through direct action, the first such auction that is programmed for November 26th. This is why we reach out to you, to ask for help and mobilisation to put pressure on the government to satisfy the long-standing demands of the VIOME workers for legalisation of their activity, by expropriating the factory and granting it to the VIOME workers’ cooperative, which will operate it in a horizontal and self-managed way, as it has been doing for 3 years now. We appeal for an international week of solidarity, from November 17 to 24. >>> Facebook. We urge you to sign the below resolution by returning your details (name, collective, place) to protbiometal@gmail.com, or even better, hand it in to the nearest Greek embassy or consulate demanding that it is transferred to the Greek Ministry of Labour. We welcome any international acts of solidarity, especially ones that involve non-violent direct action towards Greek embassies worldwide. 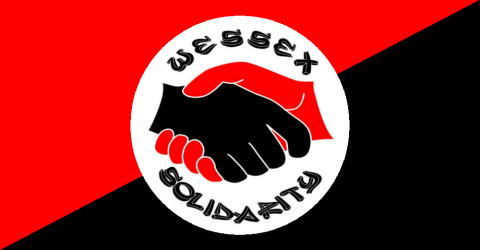 The Assembly of Solidarity to the Struggle of VIOME for Self-management. Red & Black Telly: U.K. E.U. Referendum.No to Yes,No to No!